The Wah MakerBlack Highland frock coat is fully lined. 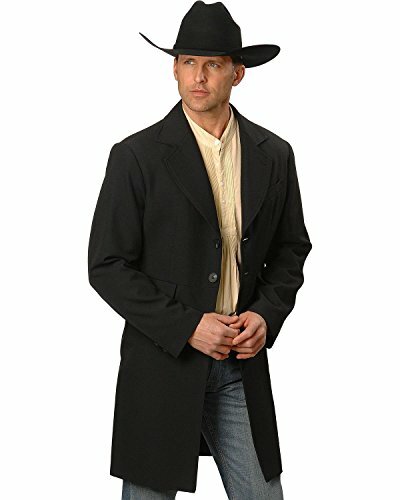 This authentic coat has one inside chest pocket and two front flap pockets. Back has deep center vent with two button detail at the waist. Two button front closure. Made in the U. S. A. of polyester/wool blend. Acetate lining.